The Boutemy agency, a real estate expert for more than 30 years in the lakeside city of Port Grimaud at the foot of the medieval village of Grimaud is at your disposal to assist you in the realization of your real estate project in the heart of the Gulf of Saint-Tropez ( Grimaud, Port Grimaud, Cogolin, Ramatuelle and Saint-Tropez). Whether you want to sell your property or purchase your second home on the French Riviera, we will make sure you carry out the negotiations in the best conditions. Actually, we recommend for sale many properties typical of the smooth architecture imagined by the creator of Port Grimaud, François Spoerry. These are typical houses of Provencal architecture that bear the names of the fisherman's house, cassine, portale, ostale, hunière or borderive. Most of these accommodations are located on the edge of the canal in order to enable you to experience a real holiday by the waterside. And boating enthusiasts will be satisfied because the majority of these properties have their own mooring. Depending on your needs and the size of your boat, we will be able to offer you the property that suits you best. We also invite you to consult without further delay our YouTube channel which includes all our properties available for sale or rental. Here is for instance, a beautiful Villa of 160m2 with a 12m mooring and 2 parking spaces. 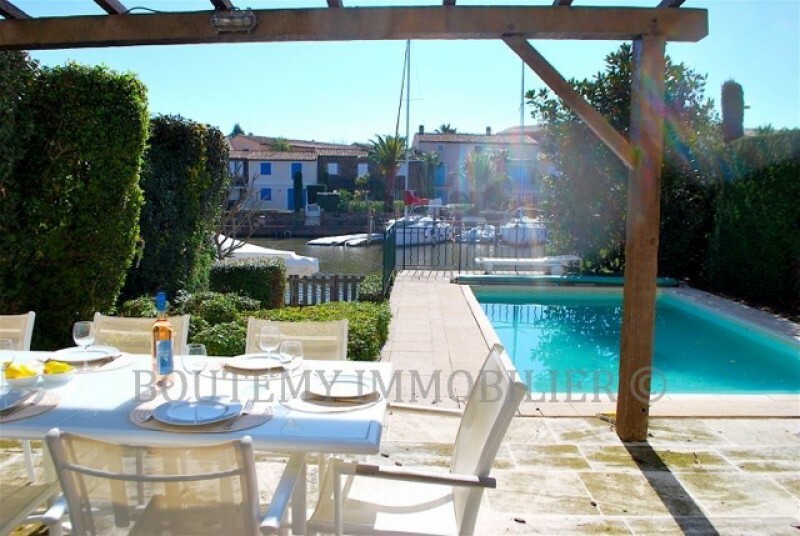 The price range of real estate properties in Port Grimaud is very wide and varies from around 150 000 € for a studio without mooring to several million euros for exceptional houses and villas. We are therefore capable of recommending apartments and villas for all budgets and advising you on buying a place to stay in Provence or alternatively, a rental investment. For a studio or an apartment, with prices ranging from 6104 to 9570 euros per square. The average, slightly declining since 2016 stands at 6 547 euros. 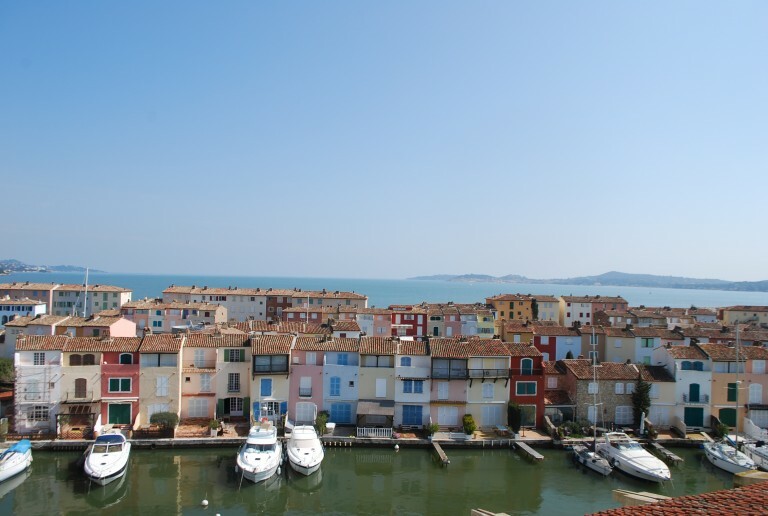 For a house or a villa, you will have to pay about 16 202 euros per square, which makes Port Grimaud one of the most expensive holiday destinations in France. The exceptional setting of the French Riviera, the high demand for exceptional properties and a preserved architecture explains such rates. We also occasionally recommend for the sale of land in Grimaud. These are rare and highly sought-after properties. Also, as soon as we publish them on our website, we urge you to contact us as quickly as possible to organize a quick visit. A land permits you to build the house of your dreams, most often with a mirror swimming pool and allows you to enjoy an exceptional villa during your holidays in the heart of the Gulf of Saint-Tropez. We are well acquainted with building professionals in the region and will be happy to let you benefit from our network to construct the house of your dreams. The area we cover is mainly a holiday destination, many owners entrust us with the rental management of their property during their absence. This ensures steady income is generated while conscientiously offering tourists who have been seduced by this idyllic living environment the opportunity to enjoy a house a short distance from the sea. You are welcomed to contact us at 00334 94 56 56 58 in order to discuss the terms of this management of your property in seasonal rentals.